Tendai Chinoperekwei built his business in a country where money was scarce. 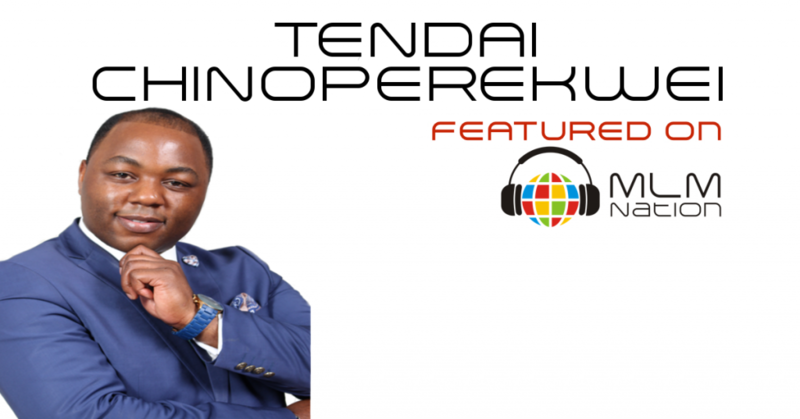 Tendai reveals the one single action he focused on to create massive momentum that saw over 1000 new associates join per month. Also the 4 different types of people in MLM and what they mean to you. Tendai Chinoperekwei was born and raised in a poor background from Zimbabwe, Africa. He worked hard and eventually got a degree in finance and started a career in the financial services sector but when the Zimbabwe economy collapsed, he was forced into MLM at the age of 24. After building the business consistently for 4 years, Tendai hit 6 figures in 2009 and has been earning a 6 figure income every year since then. He’s received numerous awards from his company including profit shares, winning the House Fund award and also winning 4 cars as well. Tendai is currently a 1 Star Director and a global speaker.